You never need insurance until you need it and then boy do you need it! In our opinion, travelling to Africa and enjoying many of the activities available here, without adequate travel insurance is a very unwise decision, it should be a pre-requisite. Apart from the potential problems of delayed or cancelled flights and lost or damaged luggage, there are also limited medical facilities, remote locations and potentially hazardous activities all of which require decent Emergency Medical Cover. Where Do I Get the Right Travel Insurance? We have spent considerable time analysing what cover is needed for our part of the world and who covers it best and why. Their commitment to exceptional customer service. If you have any questions, please contact WorldNomads.com directly. Why not get a quick quote by entering your details into the above yellow widget, it is quick and easy. I think you will be surprised at how comparatively cheap Travel Insurance is when compared to the potentially huge costs that can be incurred if something unfortunately goes wrong. Who would want to or could even afford to pay out US$10 million in Emergency Medical expenses or US$5000 for cancelled or curtailed travel expenses. World Nomads does and for under a $100 in some cases. It's kind of a no brainer. By focusing on what you need and leaving out what you don't, World Nomads prices are some of the most competitive online. This is a very important question and what you need to ensure is that you have cover in 2 main categories - Medical and Travel. 1) Medical - Anything to do with your physical well being from medical emergencies involving accidents or ill health to medical evacuation, funeral expenses, legal expenses, emergency dental treatment, loss of limbs, sight or a permanent disability. It is the real big one, as it can run into the millions of dollars. 2) Travel - Anything to do with your travel arrangements from flight delays and cancellations, trip interruptions and curtailments to your baggage, personal belongings, passports, credit cards and money, whether lost, stolen or damaged. This is why we like World Nomads, they seem to have both areas covered. 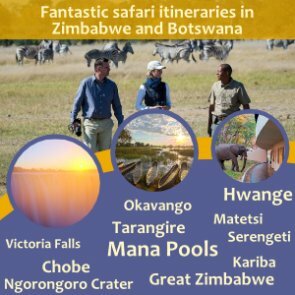 Not only is their Medical Policy so comprehensive, insuring adventurers from bungee jumpers and white-water rafters to elephant back and other safari activities but their Travel Cover is equally as inclusive. 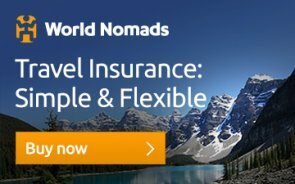 WorldNomads.com is supported by different insurers from around the world and hence your country of residence impacts your cover. Always read your policy wording to review your specific coverage and to make sure that the policy is right for you. Are There Different Plans Available? World Nomads have two levels of insurance - Standard Plan and Explorer Plan. The standard plan offers good cover but for a slightly higher premium your cover is exponentially greater and this would be my recommendation in most cases. Literally a few dollars more buys you more than double the cover in some areas. But check that out yourself, after getting a quote in the yellow widget above, you will see a full description of the the 2 plans offered, with prices and the amount covered side by side. Click on the "view details" for an in depth look at both plans including the excesses.